The news coming out of our nation’s capital doesn’t always make us jump for joy, but when a news release arrived a couple of weeks ago from the National Endowment for the Arts announcing that the Irish traditional musician Seamus Connolly would be one of its nine honorees receiving a National Heritage Award in September, it restored my faith in at least one institution down there. Of course, I wasn’t surprised that Connolly’s candidacy was successful because I was one of many who advocated it by submitting a testimonial acknowledging the wonderful work he has performed since arriving permanently on American soil in 1976 from his native Killaloe in East Clare. With faith that the cream does rise to the top, and belief that his bona fides qualified him unequivocally as a folk artist of the highest merit who has shared and advanced his traditional art form with great distinction here in the U.S., I felt -- and hoped -- that it was a matter of time. 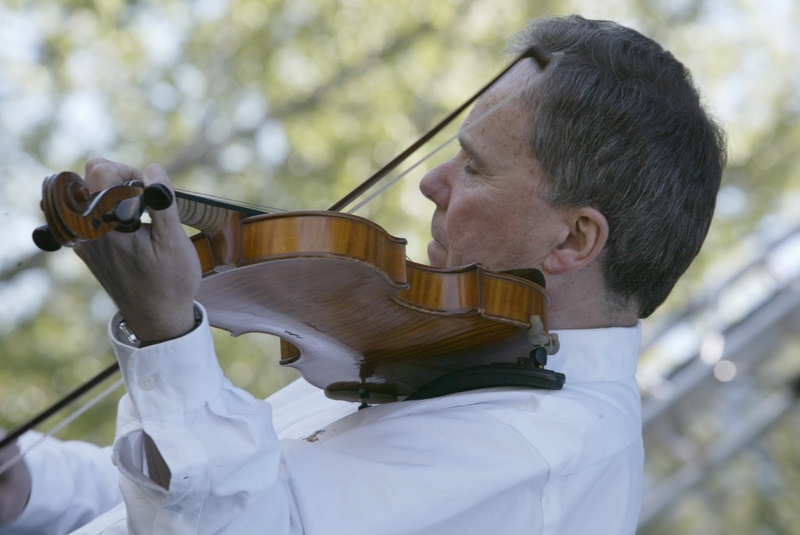 And it couldn’t have come at a better time for a variety of reasons for the highly respected fiddle player who has been endowed in the Sullivan Chair for Irish Music at Boston College for nine years. From an early age, Connolly showed a reverence for traditional Irish music. The fiddle was his chosen instrument and he relished the opportunities to go to the local, regional and provincial flea Hanna, where he made the acquaintance of many older Irish music legends who encouraged his playing and dedication. Connolly would go onto to win 10 All-Ireland fiddle championships at Fleadh Ceol na Eireann -- the most ever by one person -- and also the Fiddler of Dooley competition held in Sligo. His powerful playing was recognized all over Ireland; even the North Clare-based Kilfenora Ceili Band under the guiding hand of Kitty Linnane reached across the county for their East Clare neighbor as he played with that ensemble for 16 years. But Connolly was still partial to the East Clare stalwarts like Paddy Canny, Martin Richford and P. Joe Hayes (of Tulla Ceili Band fame), the latter who would give his seat at the front to the young Connolly to signal both respect and encouragement for the musician who would bring more future fame to that part of Clare. Connolly got his first taste of America in 1972 when he was part of the very first Comhaltas Ceoltoiri Eireann Concert tour of North America that would feature many of the best traditional musicians in Ireland for a number of years before there was a commercial market for it. The sights and sounds of America excited him like many an Irish Immigrant looking for more opportunity, and over he came for good in 1976. The Boston Comhaltas club formed in 1975 was on the lookout for a music teacher to help develop their branch and help shape the traditional Irish music scene. The chairman, the late Larry Reynolds from Ahascragh, Co. Galway, aggressively recruited him for Beantown. Reynolds and Connolly became a formidable duo for CCE as they built a vibrant branch into one of the largest in the cultural movement with their mix of Irish music and social dancing, and a weekly radio show featuring more and more traditional music of a high caliber being recorded and released for a growing audience. Connolly’s precise and emotional fiddle playing garnered wider attention beyond New England as he was invited to many Irish music festivals around the country, establishing a well-earned reputation as one of Ireland’s finest fiddlers and exports to America. And the D.C. community through folklorist Joe Wilson of the National Council for the Traditional Arts also recognized the tradition bearing impact of Connolly’s stylish approach to Irish music as performance art, and he made three tours of the Masters of Folk Violin and numerous appearances at their National Folk festivals. If Connolly was recognized as one of the foremost performers of Irish traditional music in the U.S., his prowess as a teacher and transmitter of his native culture is perhaps one of his more important legacies for Irish music in America. His personal training of talented American fiddlers like Laurel Martin (now an East Clare fiddle devotee like Connolly), Sheila Falls Keohane (Childsplay), Grainne Murphy (Cherish the Ladies) and Brendan Bulger, who won an All-Ireland championship under Connolly’s tutelage among others, would be significant all on its own, but his educational achievements would not stop there. When Boston College assertively decided to boost its Irish Studies program with more focus on Irish music education, Connolly was brought onboard in 1991 to teach music just a year after an extraordinary weekend of Irish fiddle music was organized by Dr. Micheal O’Suilleabhain and Connolly in Gasson Hall’s Irish Room which resulted in a seminal CD of Irish fiddlers old and young playing in America at the time. To bring more attention to Boston College’s evolving plans and to develop more programs like this, the Gaelic Roots programming was germinating and would reach full flower in 1996 when their first week-long summer school at the college’s Chestnut Hill campus was unfolded. Connolly’s connections and comprehensive knowledge of the old masters and young performers and teachers who were ready to play their part in keeping the tradition alive made him the perfect candidate to direct the nascent program that took full advantage of being in Irish Boston, which added fun (harbor ceili cruises, Fenway Park and Irish pub session crawls) to go along with the solid tutelage during the week. With organizational help from Sandy Walters, Connolly’s late wife and senior official within the U.S. National Park Service, he annually organized an outstanding faculty, including many of the older masters from Ireland and Scotland whose presence alone added to the massive reputation of the Gaelic Roots Summer School that drew people from all over the country for its eight-year run as one of America’s top summer schools for Celtic music and dance. Since most of the teaching and performing staff were from overseas, post- 9/11 logistics and expenses hampered the continuation of Gaelic Roots as a week-long school. Connolly shifted focus to smaller offerings during the academic year, keeping the mission of preserving and educating people about the “Living Tradition” of Irish music and dance. It afforded him the opportunity to teach more at other summer schools around the county like the Catskills Irish Arts Week, Augusta Heritage Center and the Swannanoa Gathering and many of the multicultural fiddling camps as well. When the National Heritage Awards are being juried, I am sure the panels charged with the task of sorting through all the candidates work very hard to narrow it down to those who justify the criteria of folk artists of the highest caliber who have left their mark on the cultural tapestry that is the United States of America. Connolly, 69, carried his intense passion and respect for those who gave the music to him in his native Ireland and made that his mission in America for the past 37 years in as many ways as he possibly could. He is a very worthy candidate to join the ranks of Joe Heaney, Martin Mulvihill, Joe Shannon, Jack Coen, Michael Flatley, Donny Golden, Liz Carroll, Mick Moloney, Kevin Burke, Joe Derrane and Mike Rafferty as the 12th traditional Irish musician or dancer in that select group of folk artists and to earn its $25,000 fellowship. “It is great to follow in the footsteps of all those great Irish musicians and dancers on that short list of people who have been chosen for this award and I am honored and humbled by it,” he told me by phone recently. Connolly still has projects in the hopper, and he isn’t resting on his laurels. Foremost on his list is the publication and release of an ambitious recording of Irish tunes collected over the years in his private archive. They contain music that warrant greater exposure either as his own compositions or those of other musicians in the tradition that haven’t gotten the attention they deserve thus far. The 10-disc compendium will also include transcriptions of the original music to aid in learning them and disseminating them much in the manner of a mentoring Julia Clifford, the Sliabh Luachra fiddle player who encouraged Seamus long ago to learn one of her tunes by asking, “You Don’t Have it Do You?” as she taped it for him. Connolly is hopeful that the sesquicentennial of Boston College next year will provide a convenient opportunity for this life’s work to be shared for generations to come. It also shows why he is a treasured resource for Irish America who will stand tall in the hallowed Library of Congress in Washington, D.C. as truly a legend in his time.